Dry to moderate moisture. 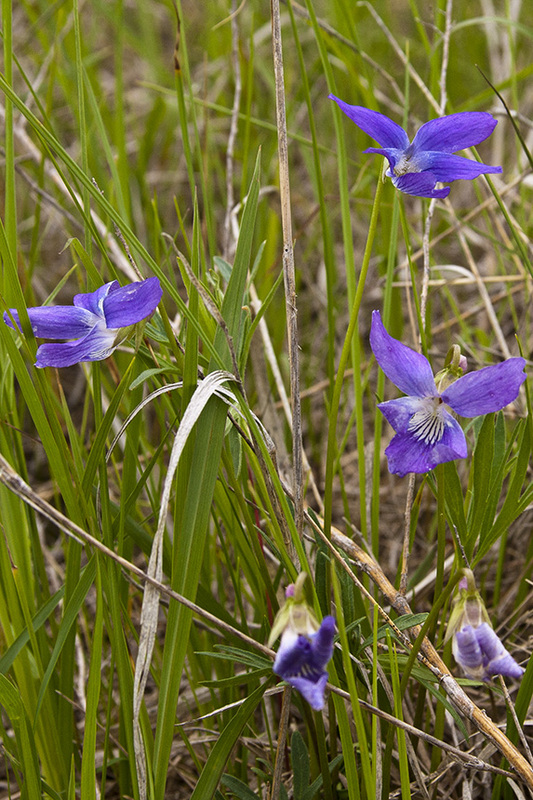 Prairies, forest and woodland openings. Full sun. This is a 3″ to 6″ tall, erect, perennial forb that rises from a short, slanted or erect caudex and fibrous roots. There is no central stem. 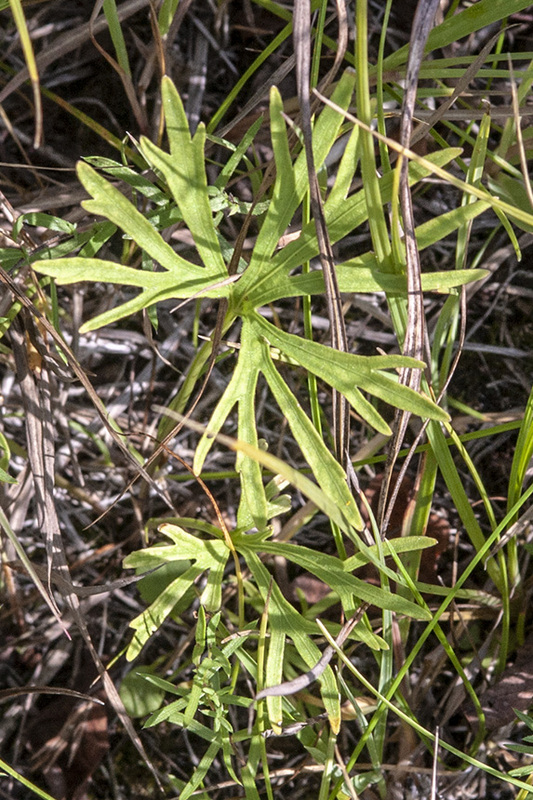 The leaves are all basal and form a rosette. They are on stalks up to 1″ long. The leaf blades are 1″ to 3″ long and 1″ to 4″ wide. They are dissected almost to the base into usually 3 main divisions. Each division us again deeply cut into 2 to 4 linear segments. The segments are often again lobed. Early leaves and later leaves are equally divided. The upper and lower surfaces may be moderately covered with spreading hairs or almost hairless. The margins are untoothed and have a fringe of hairs. 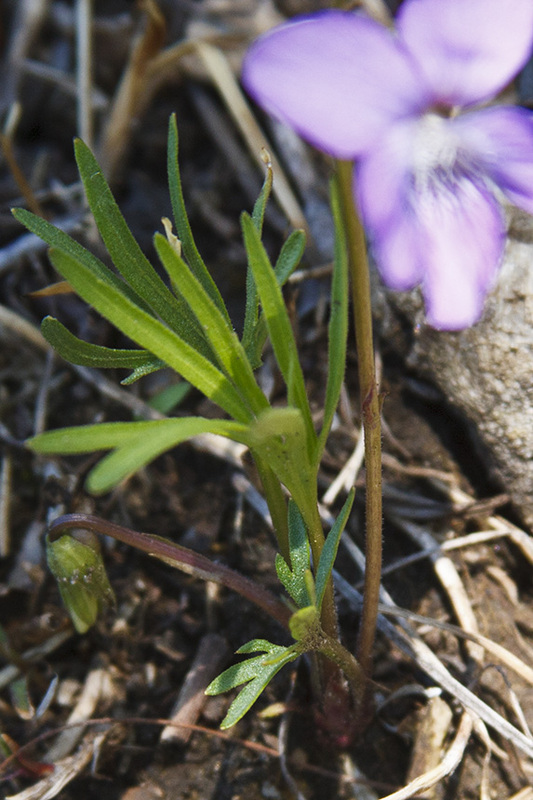 One to several leafless flower stalks (scapes) rise from the rootstock at the middle of the rosette. 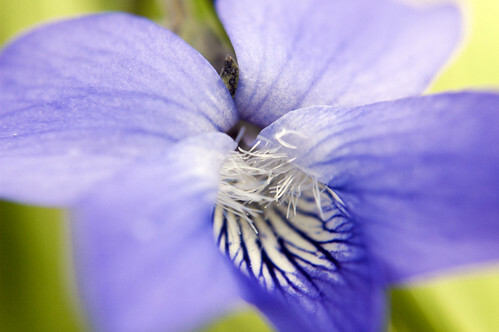 The scape is erect, leafless, and hairless, and is topped with a single flower. It is abruptly curved downward near the top. 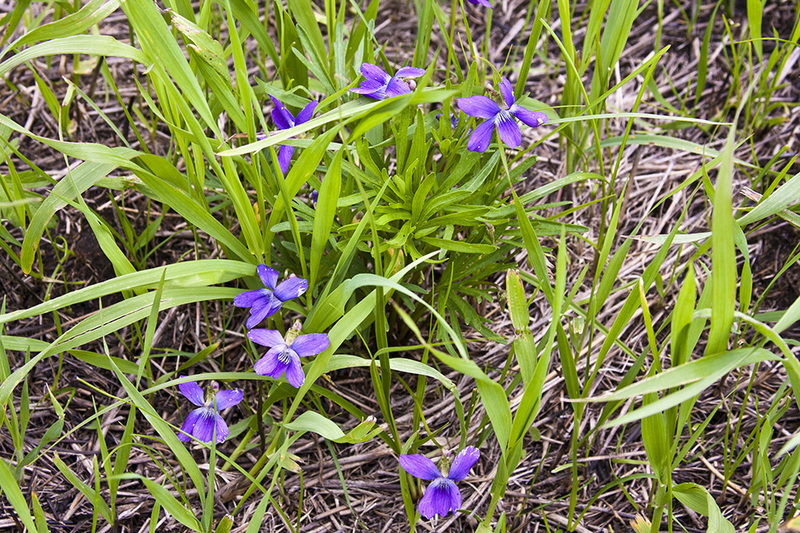 The flowers are usually held above the early leaves but are often overtopped by later leaves. Two types of flowers are produced: open, cross-pollinated (chasmogamous) flowers; and closed, self-fertilizing (cleistogamous) flowers. Cross-pollinated flowers are ¾″ to 13 ⁄16″ wide and showy. 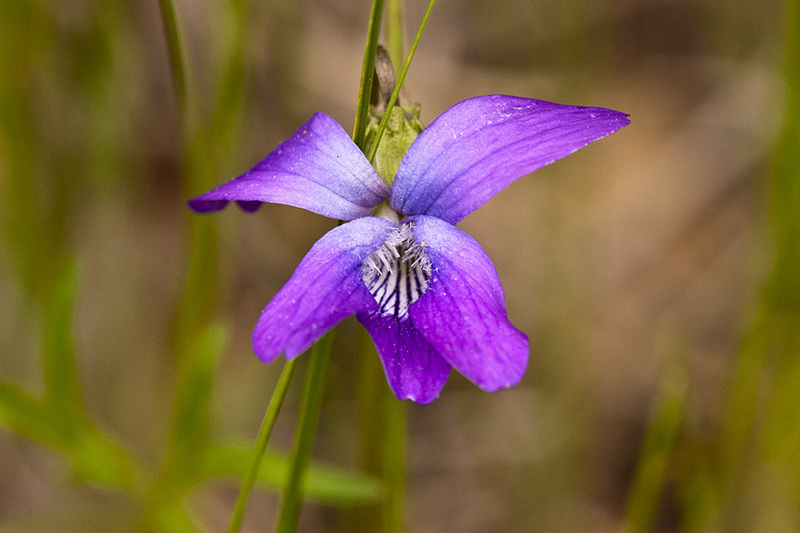 There are 5 sepals, 5 petals, 5 stamens, and 1 style. The sepals are green and shorter than the petals. 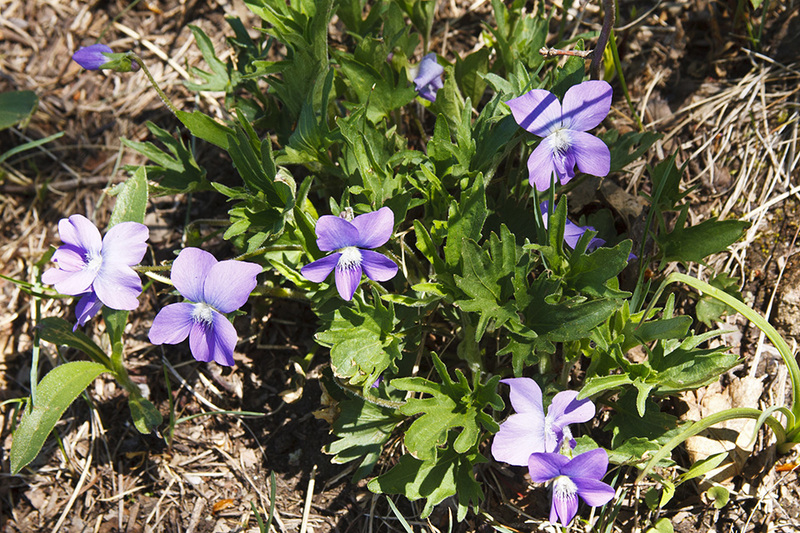 The petals are violet or pale violet and ¼″ to ¾″ long. 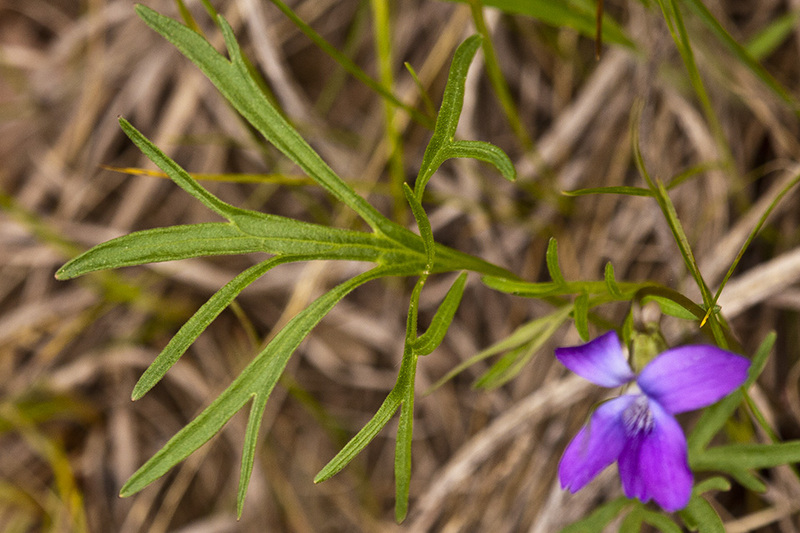 The two upper petals are erect or bent backward. The three lower lobes are spreading, white at the base, and have a tuft of white hairs (beard) near the throat. The lowest lobe has conspicuous, dark purple veins near the throat and a hooked, rounded spur at the base. The 5 stamens are orange and have very short filaments. They do not protrude from the throat of the corolla and are concealed by the beards of the petals. The flowers are not fragrant. Self-pollinating flowers occur on shorter scapes that may be erect or lie flat on the ground. The fruit is an egg-shaped to ellipse-shaped, ¼″ to ⅓″ long, hairless, yellowish-brown capsule with many brown seeds. The capsule protrudes noticeably beyond the persistent sepals. 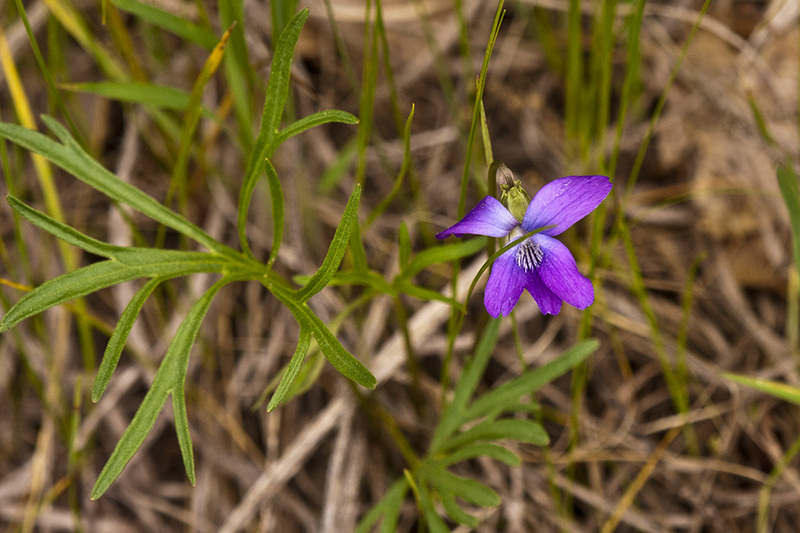 Birdfoot violet (Viola pedata) flowers are somewhat larger, up to 1½″ wide. 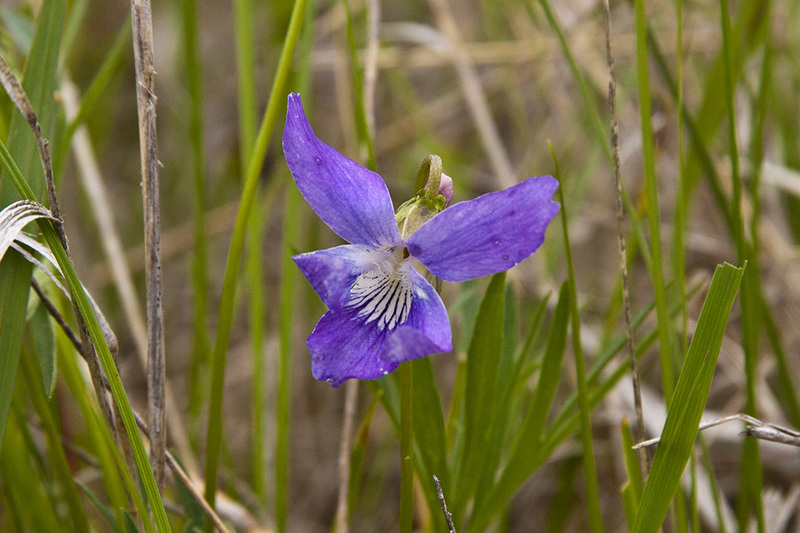 The lower 3 petals are not bearded. The stamens protrude conspicuously from the throat of the corolla. 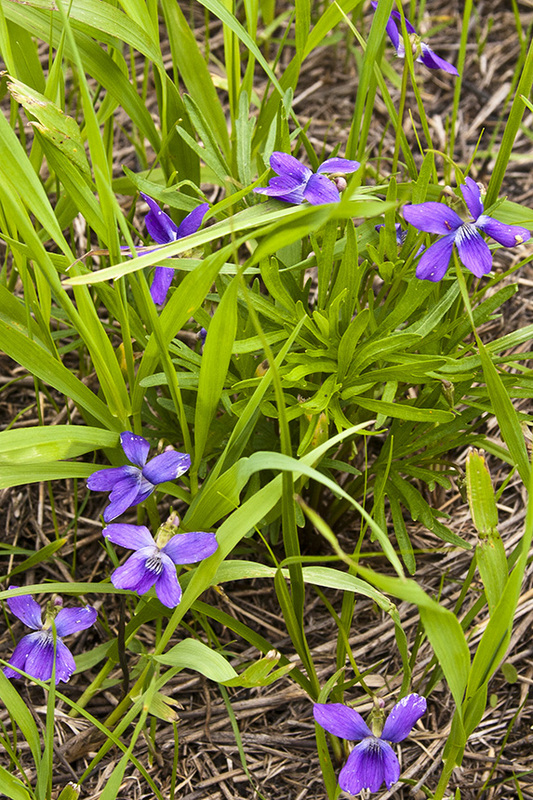 It does not produce cleistogamous flowers. 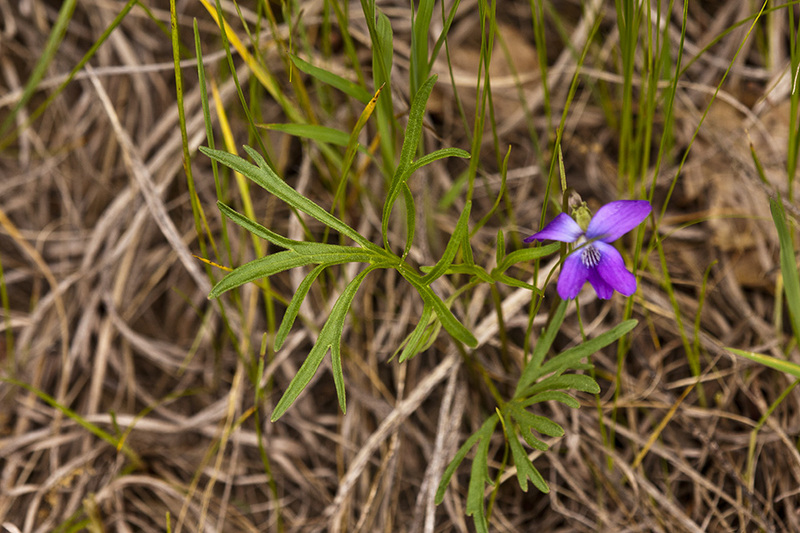 It is found in southeast and east-central Minnesota. Automatically self-pollinating. Refers to bud-like flowers that do not open but automatically self-pollinate, or to plants with such flowers.